Dennis seems to think that he is going to start a new trend in Summerside – folding mini bike with a baguette. Where is his beret? Anyone can do that!! 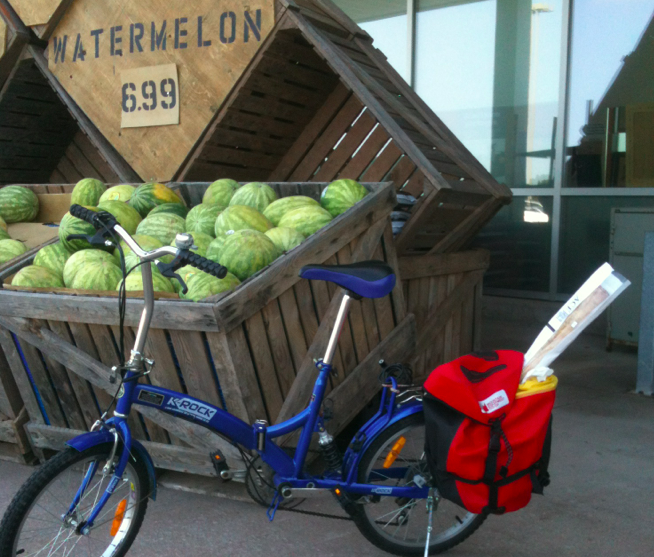 Mini bike with a $6.99 water melon, now that’s a challenge. I’m disappointed, Dennis.